Simon & Schuster Books for Young Readers, 9781442420328, 512pp. ONE BOY. UNTOLD ENEMIES. A WHOLE WORLD TO SAVE. ?IT'S GOING TO BE A LOOONG THREE DAYS. 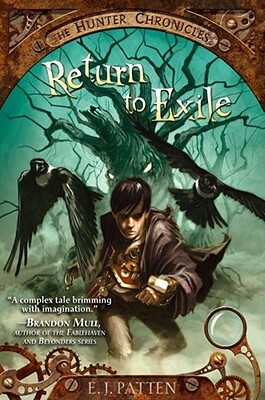 Featuring an action-packed plot that covers the gamut of every monster you've never heard of (not to mention weird powers and weapons made out of garbage), Return to Exile is brimming with boy and girl appeal and is a gem for reluctant young readers. And, with a diverse assortment of well-aged monster hunters in the cast, this series will be a hit with adults young and old as well.